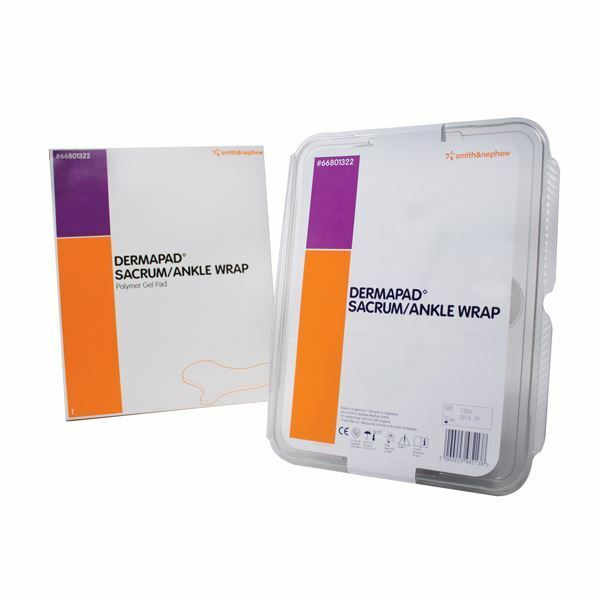 Preshaped Dermapad polymer gel pad suitable for protecting the sacrum or use over the ankle area. This shape can be held in place with incontinence pads or underwear. Common practice includes using as ankle wrap or around the shoulder, over the hip, or back of the head. Sold individually.